Windshield repair is an ideal alternative to expensive windshield replacement. It is a permanent process that removes air from the break and fills it with a curable, optically matched resin. 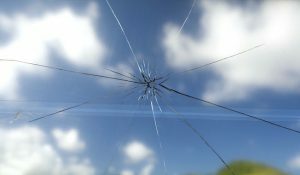 The process bonds the glass together, restores strength to the windshield, improves the break’s appearance and prevents further damage and the expense of windshield replacement. Windshield repair is a cost effective, inexpensive solution which can offer be reimbursed by your insurance company. It’s a safe and effective solution for repairing various types of chips and nicks as well as cracks up to ten inches long. It’s a fast and effective process that takes lest than 30 minutes to complete. It’s convenient for you too – we come to you at your home or office to eliminate the hassle of waiting in line at at shop or needing to drop off your car and pick it up later. Call us today to find out how easy and inexpensive windshield repair with Executive Windshield Repair is.